IAMDV8 is a creative festival celebrating the talents of Dv8 Training’s most exciting young musicians, singers, MCs, fashion designers, event managers, graphic artists and filmmakers. Now in its fourth year, this collaborative project brings the creativity of the various courses under one roof. DV8 Training’s Events Management & Promotions (EMP) students will work with students, local artists and partner organisations to showcase the best that Dv8 has to offer on the main stage at Stratford Circus. Catch the IITS team before the show at the IITS Enterprise Zone where there will be an explosion of stalls, interactive workshops, Mixtape Madness, in house entertainment plus an open mic. 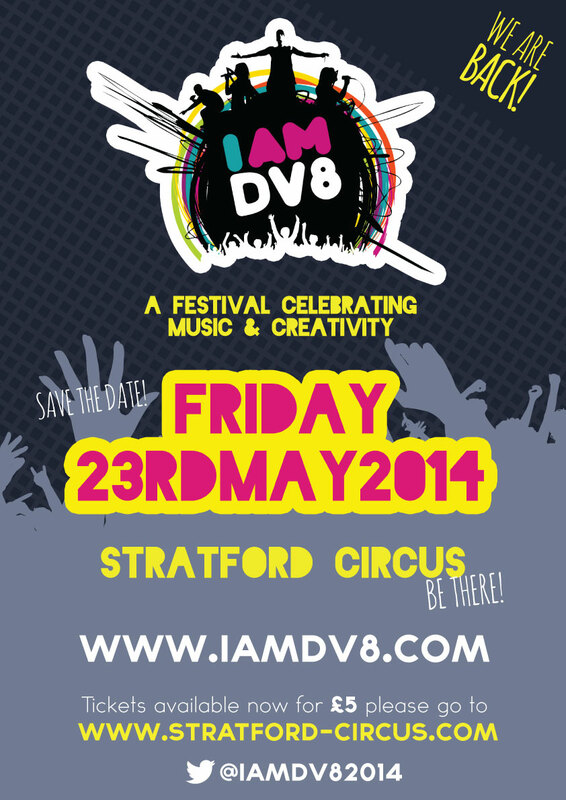 Check out the IAMDV8 website for updates and more info. Also make sure to get your ticket here.